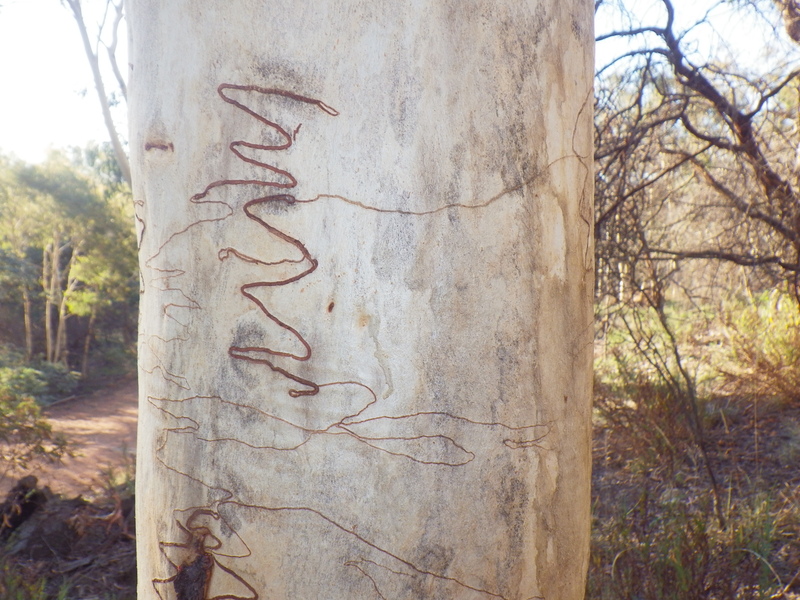 The “ghost scribblings” on the Gum Trees on Mount Ainslie are traces left by the larvae of the Scribbly Gum Moth (Ogmograptis Scribula) as it feeds and grows below the bark. The traces on a scribblygum on Mt. Ainslie were photographed from every angle, using Autodesk 123D Catch. These photographs were then used to compute a 3D mesh with an image mapped on the surface. The resulting digital model was then 3D printed in coloured acrylic. This is an example of 3D photography and 3D printing as a documentation of natural heritage. Technological developments in digital media and personal fabrication allow patterns and forms from the natural world to be replicated on 2D surfaces and 3D objects. This project explores the use of 3D photography and computer generated modelling as a form of documentation of the natural environment. It also explores the potential to use these techniques for interior design and architecture. 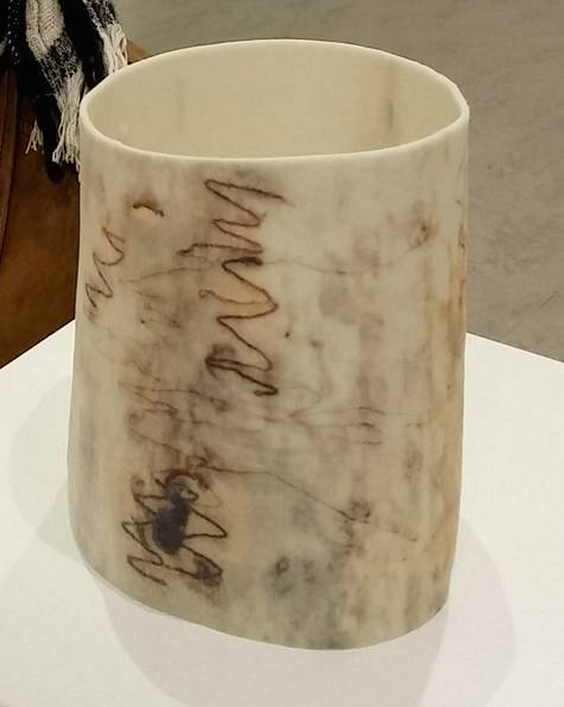 Scribblygum3D was curated by Katie Hayne for the Traces and Hauntings exhibition at the Belconnen Arts Centre, 7-30 August, 2015. Traces and Hauntings brings together works which afford ways of seeing and thinking that intimate new ways of being in the world. To a considerable extent our lives are characterised by the solid and the present—people we know; the earth we walk on; things we can grasp. In this exhibition, through photo media, sculpture and artist books, University of Canberra Faculty of Arts and Design staff explore the subtle ruptures of ‘reality’ and the vestiges of things well known.